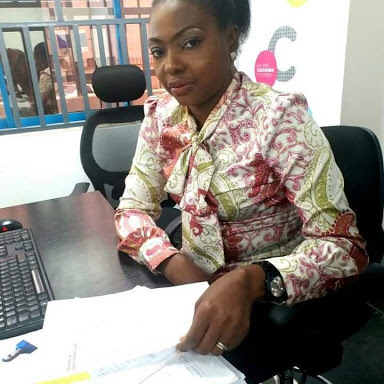 A case of financial fraud involving one Mrs. Sally Dagun, the relationship manager of Union Bank, Dei Dei branch, Abuja, has got people talking. It was alleged that Mrs. Dagun stole the sum of N8.8Million from one Mr. Mansur RIMI, a customer of Union Bank in Abuja. According to Mr Mansur, when he discovered his money was missing from his account with Union bank, he immediately summoned Mrs. Dagun, his account officer, over. During the interrogation, Mrs. Dagun, who later got to discover that his invitation was in connection with the missing fund, decided to confess, saying that she has been stealing his money since September, 2017, adding that the total amount she withdrew from Mr. Mansur’s account from last year till date is N8.8Million. It was also gathered that Mrs. Dagun, apart from being the Relationship Manager at the Union Bank branch, is happily married with three kids. The matter has been handed over to the CID and Anti Fraud Unit of the Nigerian Police Force, Garki 2, Abuja, for further investigation.